June 1940. 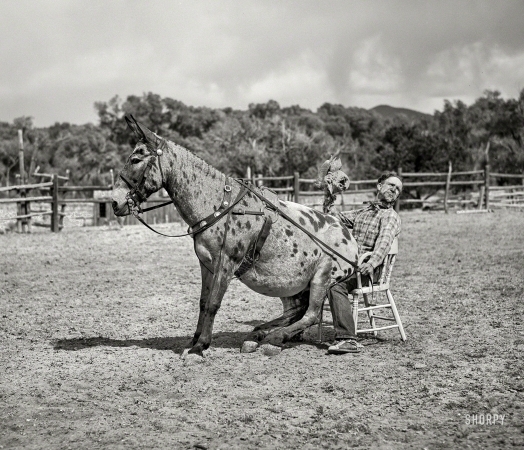 "Clown rider with his trick mule at rodeo. Quemado, New Mexico."